THERE'S SOMETHING FOR EVERYONE AT OUR SEAFOOD RESTAURANT & BAR IN NEW BRAUNFELS, TX! Are you looking for authentic seafood or a perfectly crafted cocktail? The Oyster Bar is the best seafood restaurant & bar in New Braunfels, TX, providing amazing seafood, such as oysters and shrimp, for all our customers. Since 2003, we have offered our guests amazing food, drink, and service. Through our robust menu, we have kept guests happy and full; and with our drink menu, we have kept them happy and merry. When you’re looking for the best seafood and hand-crafted drinks in the area, you need to visit The Oyster Bar. At The Oyster Bar, we have revitalized ourselves into a full-service, sit-down bar and grill that offers exceptional service, a casual and relaxed environment, scratch-made fare, and hand-crafted drinks. Additionally, our bar and grill offers a night time full with live music, happy hour specials, pool tables, darts, trivia, and much more for those spending a night on the town. When you’re looking for fun and excitement as well as the best seafood and drink you can find, you need to visit The Oyster Bar. 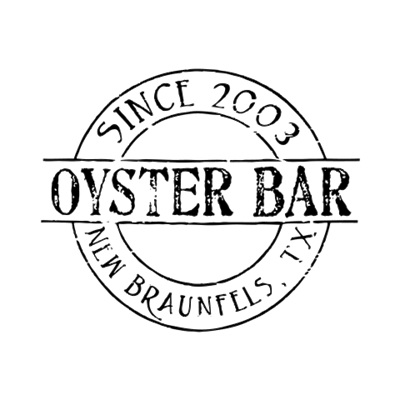 When visiting downtown New Braunfels, come down to The Oyster Bar for good food and a great time! Or call us at (830) 627-7766 today to order take out or to snag a table. Send The Oyster Bar a message.